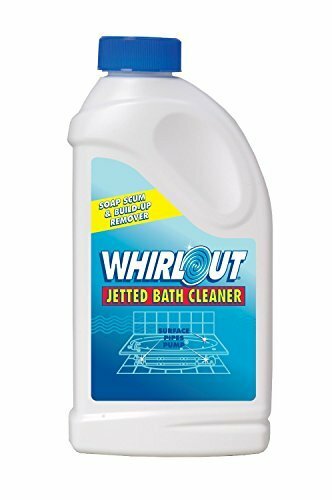 WhirlOut's fast & easy self-cleaning action safely removes soap scum & build-up, odors, bath & body oils, dirt and other system residue from inside of all pipes, pumps, fittings and the circulation system. Leaves acrylic, fiberglass, and enamel and chrome surfaces fresh and clean without scrubbing. Regular use helps prevent buildup. If you have any questions about this product by Summit Brands, contact us by completing and submitting the form below. If you are looking for a specif part number, please include it with your message.